The issue of moving vocabulary knowledge from receptive to productive mode is among the most important but less studied strands of second or foreign language learning. The present study served as an attempt to shed light on this issue by taking into account the trait of willingness to communicate as an indicator of learners’ capability in promoting their lexical knowledge from receptive to productive status. It, in fact, sought to examine the role of willingness to communicate, as a type of individual difference, in the receptive/productive vocabulary knowledge of learners. The hypothesis underlying the study is that WTC can be regarded as a good predictor for not only the degree of learners’ receptive and productive lexical knowledge size, but also as an indication of learners’ success in transition of their word knowledge from receptive to productive mode. To accomplish this, 104 Iranian EFL learners were chosen to act as the study participants. They were given three different instruments (one to identify their willingness to communicate degree, one for measuring receptive vocabulary knowledge, and one for calculating their productive knowledge). 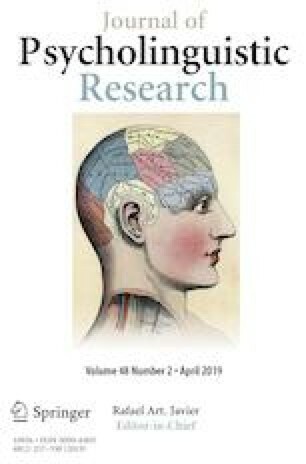 Having gathered and analyzed the intended data, the study showed that high and low willingness to communicate learners had almost the same receptive lexical knowledge. Furthermore, it was revealed that learners with high level of willingness to communicate had more productive vocabulary knowledge than those with low level of willingness to communicate. Lastly, the study implied that willingness to communicate might be taken as a predictor of learners’ transition of lexical knowledge from receptive to productive mode. Koizumi, R. (2005). Relationships between productive vocabulary knowledge and speaking performance of Japanese learners of English at the novice level. Retrieved 3rd October, 2013 from http://www.tulips.tsukuba.ac.jp/limedio/dlam.